This painting can be seen as Bazille's homage to Manet. 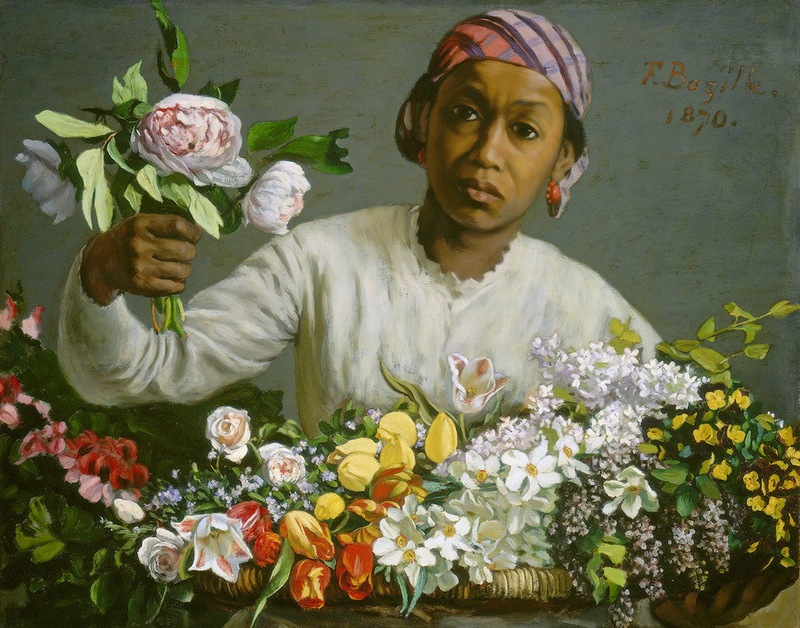 The flower vendor appears to be a reference to the black woman with the extravagant bouquet in Manet's infamous Olympia. The flowers themselves, especially the prominent peonies, also offer a kind of tribute. Manet cultivated peonies and often painted their lush blooms.